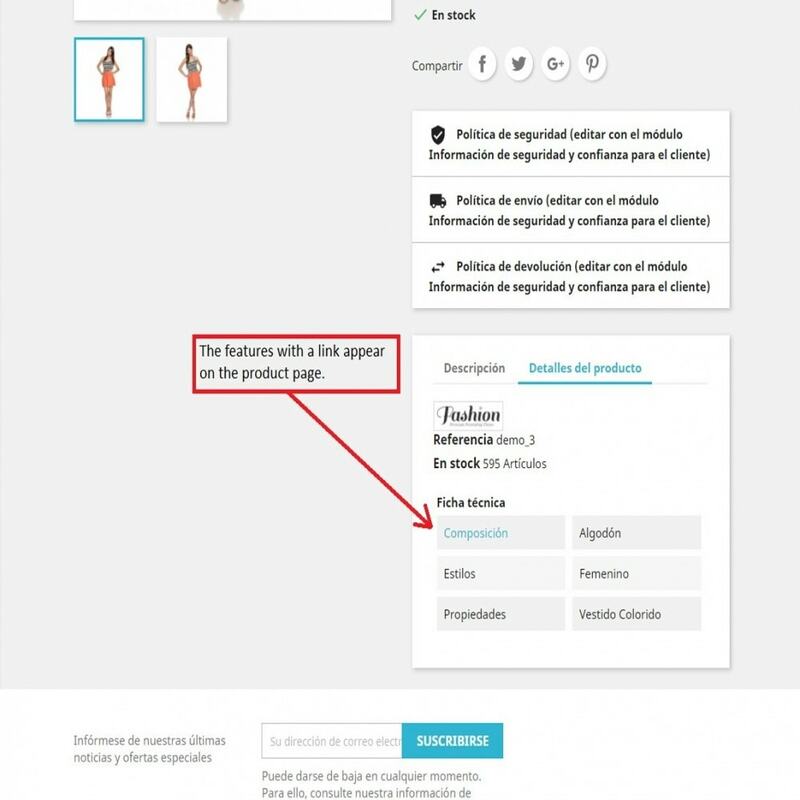 Add descriptions with html, images, videos, iframes, etc to the features of the products in your shop. This module allows you to add html descriptions, images, videos, iframe, etc, to the features of products. Add descriptions to the features of the products in your shop. 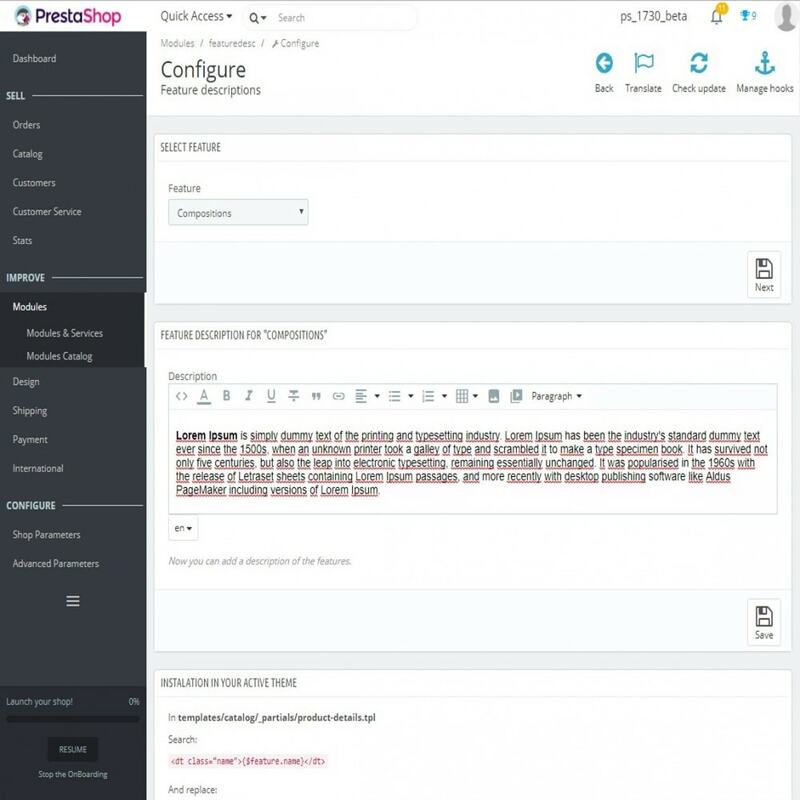 This module allows you to add html descriptions, images, videos, iframe, etc, to the characteristics of Prestashop. There are many business models that sell products that require use features. For example, selling cars or phones. These products offer many features that it is important to show prospective clients to finish convincing in order to sell the product. In Prestashop can be added countless features to products but we can not add a description of the features to deliver more information. This module allows you to add a description in languages ​​to the features of the products in your store. In the front office features will appear with a link that opens a popup with the description. You must make a small modification in the active theme so that the descriptions appear. In the module configuration you can see how.